When investing in footage for tourism marketing, you want shots that wow. Today, some of the most beautiful footage in the world comes from drones. They can get places even helicopters can’t, bringing spectacular birds-eye views, impossible trips into caves and wilderness – even underwater exploration. Just look at this gorgeous footage of Papua New Guinea. Nothing on the experience of actually being there, of course, but there’s no better way to imagine how impressive and fun that experience might be. When drone videography first came onto the scene, it was expensive – thousands of dollars for a few short clips. But as the technology required gets less expensive and more widely adopted, it’s become much more widely accessible. Today, drones operators are everywhere, and they’re always looking for new clients. Aerial photography is stunning as ever, but it’s also within reach of the average business owner. Everyone has drones these days. Maybe your nephew got one for his birthday, or one of your neighbors is always buzzing one around — your tour guests may even be asking to bring them along. Camera-equipped drones are also increasingly affordable to buy or rent. But access to a drone is the absolute lowest barrier to entry when you’re trying to get high quality footage. Talent is a bigger concern. As with traditional photography and videography, anyone can record footage, but it takes a good eye to make your subject look its best. Ideally, that means hiring someone experienced with the type of footage you need. If you offer underwater adventures, someone who does drone filming for weddings probably won’t be your best choice. An operator who normally does real estate work may not be as skilled at capturing the majesty of the natural outdoor world. Specialties matter. Equipment is also important. Most amateur drones use built-in cameras or GoPro-style mounted cameras. Professional-grade filming equipment is heavy and sensitive, and requires professional-grade drone tech. You might be happy with lower-quality footage, especially if there’s a lower price tag attached. Just be aware that there is a difference, and watch some examples of the type of footage you’re buying so you know what to expect. If you’re based in the US, Droners.io allow you to browse lists of professionals, view demo reels and post drone-related jobs. A professional drone operator will know the laws and regulations that impact their work, but you should brush up on them, too. 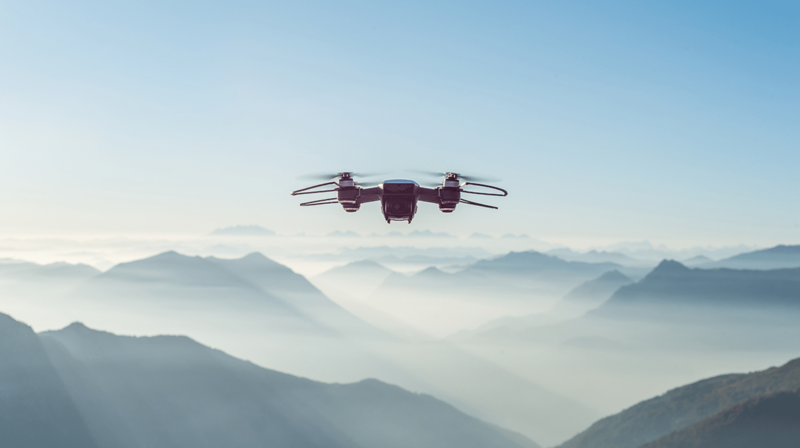 The law doesn’t always distinguish between operator and client when it comes to improper drone use, so filming in restricted or sensitive areas could lead to major fines for your business. For example, in Canada, operating a drone for work requires training, a special flight operations certificate and, in some cases, a lot of liability insurance. Operating a commercial drone without those things can result in fines of $5000 for an individual or $25,000 for a corporation. Flying a drone that puts people or aircraft at risk can lead to jail time. Disturbing endangered species or flying in protected areas is also a legal problem. There’s a further benefit to learning about the legality of drones in your area. Drones are increasingly popular among tourists, who bring them along to use on their travel adventures. With knowledge of the law behind you, you can make informed decisions about what you can allow for the safety of your guests and your tour and activities business. The Global Drone Regulations Database lists UAV-related laws by country, and you can find state-level regulations at UAV Coach. Be sure to confirm with local sources, too. Before you hire a drone operator, take a little time to consider what you need. Do you want a brief flyover as part of a larger video project, or will you need more footage to fill out a whole video? Are you going to invest in post-production (like editing and music) or are you going to throw a few brief, unedited clips up on social media? Planning for the day of filming is also important. Know what time of day you hope to capture, and when there will be good views free of tour groups. While you’re at it, consider whether or not you can be flexible with timing and dates. Weather can interfere with your best-laid filming plans, and the operator you hire should be willing to work around that. Finally, remember to leave room in your budget for reshoots. Once you actually see your region shot from the unique angles drones can capture, you might realize that you’re missing the perfect shot. Spare a little space for getting those shots so you won’t be left with any regrets. There’s never been a better time to get spectacular drone footage of your tour destinations and activity locations. A little planning will get you a stockpile of gorgeous social media clips or the ad of your dreams, so give it some thought and get flying.